Airbus announced that Saudi Arabia has placed its first Airbus A330 Multi Role Tanker Transport into operational service into the Royal Saudi Air Force fleet. The clearance was given by Deputy Minister of Defense Prince Khaled bin Sultan during a dedication ceremony held earlier in the week at Riyadh Airbase. 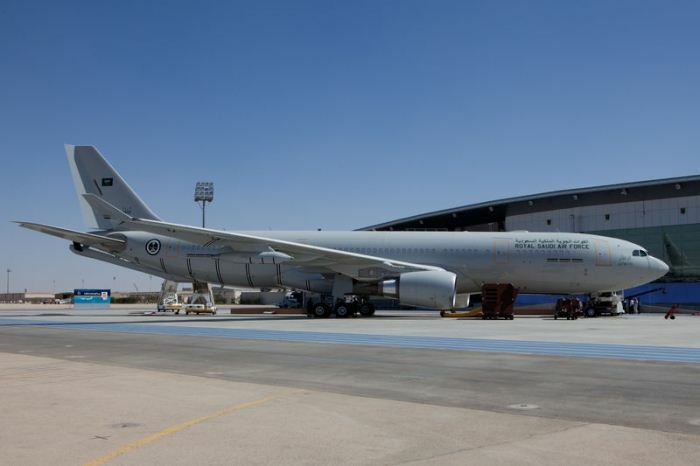 This Airbus A330 MRTT is the first of a three-aircraft batch contractually delivered to Saudi Arabia by Airbus Military, and it will be deployed to refuel Royal Saudi Air Force fighter jets, including the F-15, Eurofighter Typhoon and Panavia Tornado.